Filing Your Insurance Claim for Hotel Hurricane Damage | The Voss Law Firm, P.C. Will Your Hurricane Coverage Pay for the Full Costs of Damage to Your Hotel? Texas motel and hotel owners know just how vital it is to reopen after a natural disaster. Extended repairs and room closures can hurt both your brand and your bottom line, and you must do everything possible to remain competitive. However, many hoteliers will suffer millions of dollars in losses—or even face bankruptcy—all because their insurers did not provide adequate payment. Attorney Bill Voss explores insurance provisions that can help hotels and motels survive a hurricane and what to do if your claim is undervalued. Structure and property damage. Even broad coverage policies provide some form of coverage for hotel buildings and business contents. 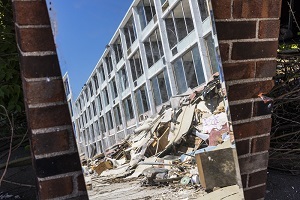 Coverage should extend from the roof to the foundation of the hotel structure (including plumbing, heating, and electrical systems), with more robust policies including damage to outbuildings and offsite storage facilities. Refunds and re-booking fees. Guests may check out early or cancel their reservations at the last minute due to a hurricane, costing the hotel much-needed income. Many hotel hurricane policies include an amount to cover lost booking fees, allowing hoteliers to offer refunds and free cancellation and rebooking options to maintain customer relationships. Evacuation costs. The government can issue an evacuation announcement at any time, and guests must be allowed to leave the premises as quickly as possible. Your policy may include recovery of the costs of evacuation and transportation for your guests and staff. Business income. It may take some time to make repairs to the property, and even when construction is complete you may suffer reduced occupancy. Business income coverage provides additional payment to help hotels cover the costs that would normally be paid through bookings. Business auto insurance. If your hotel has a fleet of vehicles (such as airport shuttles, cabs, or pedi-cabs), this coverage may be used to repair shattered windshields, flooded engines, and other weather-related damage. Cleanup costs. Hurricane damage can extend for blocks or even miles, making cleanup a lengthy and expensive process. Your hurricane policy should include coverage for pumping and draining, debris removal, fans and drying facilities, and other costs of safely clearing the property of hazards. Extra expense coverage. Extra expense coverage is an invaluable for hoteliers who suffer losses that are not specifically named in their policies. For example, standard coverage may not reimburse owners for food spoilage due to power outages or the cost of upgrading damaged buildings to comply with new building codes. Umbrella coverage. Umbrella insurance is especially useful after large-scale disaster, as it provides additional payments after the limits of all other policies have been exhausted. It is worth noting that commercial policies do not commonly offer coverage for damage caused by flooding. In order to get compensation for flood damage due to a hurricane, hoteliers will have to secure flood coverage separately through the National Flood Insurance Program (NFIP). Unfortunately, it is doubly difficult for hotel owners to get adequate insurance reimbursement after a major weather event. Hurricanes can affect millions of property owners, all of whom will be filing claims at the same time to the same small pool of insurance providers. Not only does this lengthen claim response times, it leads to claim devaluation and even outright denial. If an insurance company is attempting to deny, delay, or underpay your hurricane claim, we can help. Simply fill out the form on this page today to contact the Voss Law Firm or order a free copy of our book, Commercial Property Owners Must Read This BEFORE Filing an Insurance Claim.